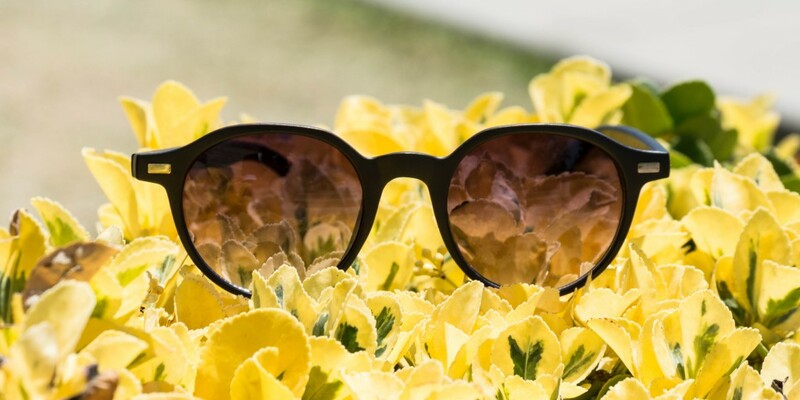 When it comes to buying new sunglasses, there are many different factors that need to be considered: Do I look good in them? Do they match my style? And most importantly can I afford them. And let’s face it, we are all dreamers and we always want things we can’t afford. 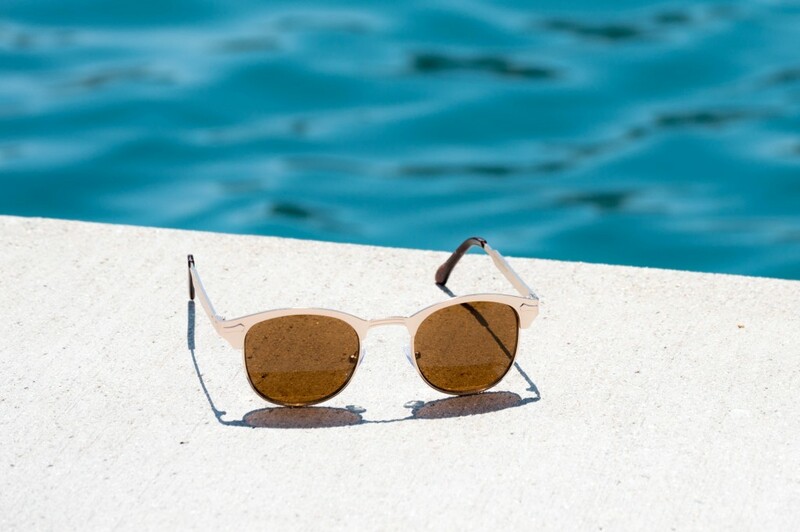 Sometimes spending +$400 on a new pair of Dior sunglasses just isn’t feasible, but what is in our price range is opting for a similar pair from Topman for a fraction of the price. Topman is known for being a leading destination for the best in men’s fashion, which is why I decided to test out a couple pairs of Topman’s most popular sunglasses: the metallic gold metal half frame retro sunglasses and the matte black round sunglasses. For $20-$25 a piece, it’s a great deal in comparison to a high-end luxury pair, but are the cheaper pairs actually worth buying? Let’s find out. The matte black round frames are built from an aggregate of hard plastic, with a small fraction of metal embedded underneath. 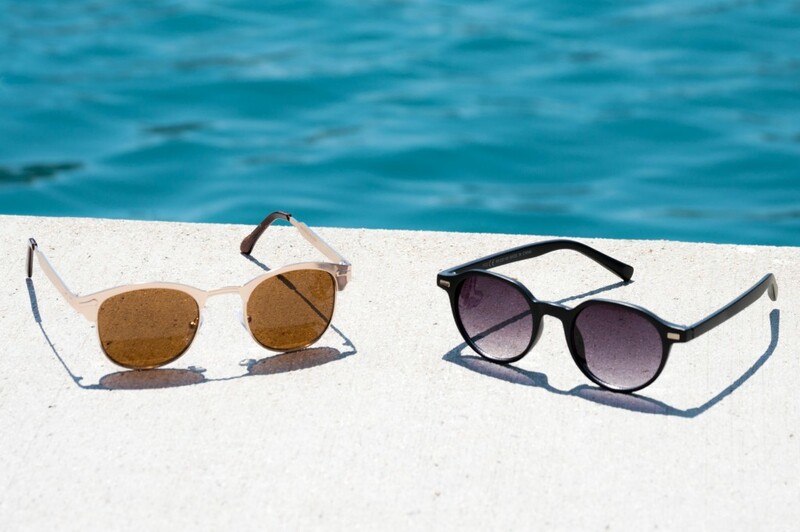 The mixture of materials keeps this pair of sunnies surprisingly lightweight. The metallic gold half frame pair on the other hand are astonishingly heavy from the minute you pick them up. Of course, that isn’t too surprising given that it is almost entirely made of metal, with only a small amount of hard plastic used on some finishing details. However, an important observation is that this pair of sunglasses is much thinner than its rival. Trying to follow-up on the success of high-end retailers is a tall order, but Topman did a fantastic job designing these two pairs of sunglasses. When I first got them in the mail, I was surprised at how nice they looked right off the bat. Both of the designs look great no matter what the occasion is. However, as we all know, black is much easier to wear on a daily basis since it literally goes with everything. 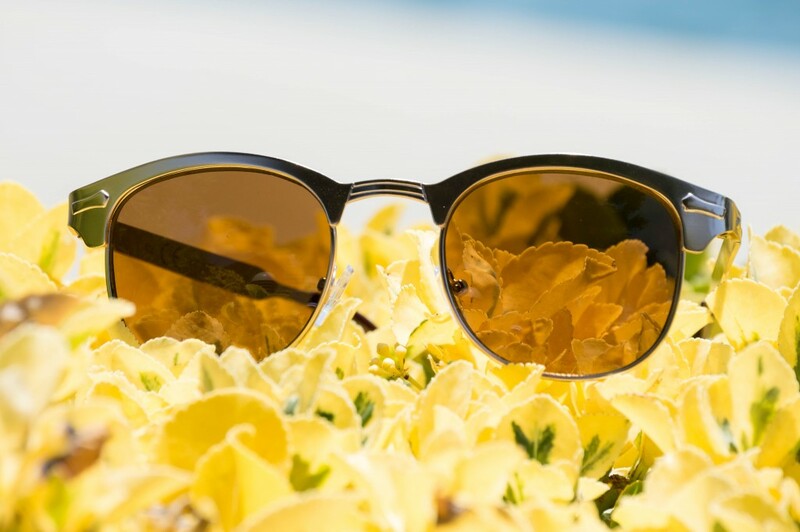 The gold half frames, which at first glance remind of a pair of Ray Ban clubmasters’, take a bit more probable planning to make sure it doesn’t look like you’re over doing it. Of course, both pairs did a great job transitioning from my hectic work routine, to a weekend stroll down the beach. Considering the price point, I’m fairly impressed with the durability of the Matte black round sunglasses. 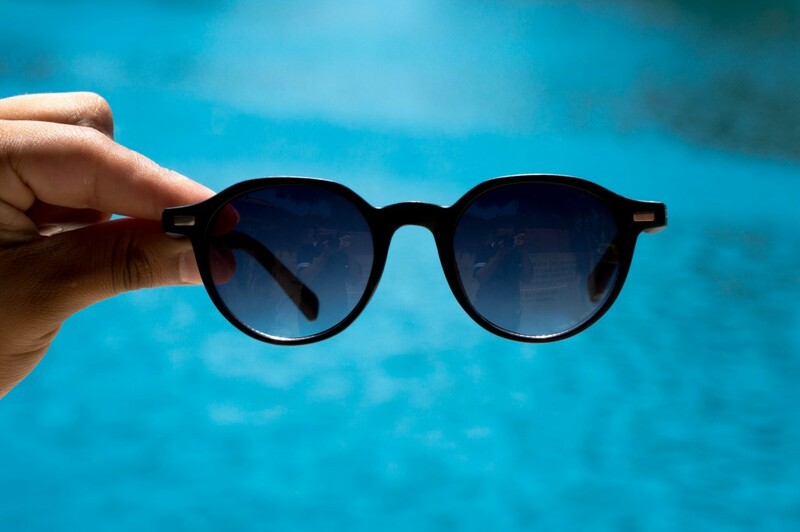 While they feel flimsy like most fast fashion sunglasses, they show no visual signs of poor paint, or fabrication. After a few days of wearing them non-stop, they still show no signs of loosening. A simple test that I try out on all my pairs of sunglasses is the shake test. I hold up a pair of sunglasses and shake it to make sure I can’t hear either the lens or the nose pads rattle; if it does, usually the end is near. While the matte black pair passed the shake test, the gold half frame did not. The nose pads were very loose, and I feel like they are going to fall off any day now. However, in terms of quality, I would have to say that the gold half frame have withheld quite well. Apart from the rattling nose pads, the pair of sunglasses feels very solid. Of course, while both the sunglasses look great from all angles, I found my self wearing the matte black round pair more often since it matched my wardrobe the best. The other reason is that the gold frames run a bit narrow, so after a few minutes of wear, I couldn’t get past the constant throbbing along the side of my head. While the silhouette is probably better suited for someone with a more narrow face shape, I felt that Topman could have done a better job crafting this pair. Especially with a heavier frame to start with, adding in the narrowness is a recipe for disaster or in our case a recipe for dissatisfied customers. The matte black sunglasses, on the other hand, fit like a glove. Sticking to a simplistic approach allows them to do exactly what they were created to do—protect my eyes from the sun. Naturally, their lightweight design allows me to wear them for hours, without any irritation or pinching above my ears or around the edges of my nose like most glasses. Which is why I’m surprised at how comfortable the matte black pair of sunglasses from Topman are in comparison to other sunglasses I have in my arsenal. My daily go-to sunglasses are a pair of Ray-Ban Wayfarers, and even though I love that specific style (I mean who doesn’t?) Sometimes my Ray-Ban’s begin to get a bit too heavy above my ear, which manifests it self into an irritation, that evidently leads to me taking them off. For less than $30, the matte black round sunglasses will hold you down on the streets whether you use them for work or as your go-to pair. It’s a solid deal. However, make sure to steer clear of the gold half frame sunglasses, unless you try them on first. Which pair(s) of sunglasses should we review next? What pair of sunglasses is your favorite? Tell me in the comments below.